UPDATED: Thu., Jan. 26, 2017, 10:44 p.m.
DETROIT – Volkswagen’s efforts to do right by owners who unknowingly purchased cars and SUVs that cheat on emissions tests have run into some speed bumps. Owners say the company isn’t delivering on a promise to quickly buy back their vehicles. Some complain about multiple requests for paperwork, even after being told their application was complete. The German automaker acknowledges some hiccups, but blames delays on an overwhelming volume of buyback requests. A company lawyer told the judge handling the VW case that almost 400,000 owners had applied to have their vehicles repurchased in the three months since a legal settlement was approved. In late October, U.S. District Judge Charles Breyer in San Francisco approved a settlement between lawyers representing nearly 500,000 owners of cheating 2-liter diesels, the government and the company. VW agreed to spend up to $10 billion to buy back the diesels, which were programmed to turn on pollution controls during government tests and turn them off while on real roads. Under a schedule outlined in court documents, VW has 10 business days to review an owner’s application. If everything is complete, it has another 10 days to make a buyback offer. Larson and others say it’s taking much longer, even though they followed all the rules. Larson applied online as soon as possible so he could replace his Audi with a larger vehicle. His paperwork was incomplete at first, but he got an email Nov. 15 telling him VW had all needed documents. After a month’s silence, Larson was told loan payoff documents were needed. He faxed them in. Finally, on Jan. 18, he got an offer of $27,500. He signed the paper and sent it in the next day. Now he’s awaiting an appointment to turn the car in. He’s been told that could take up to 90 more days. Larson suspects VW is stalling because the longer it waits, the more miles people put on cars, reducing the amount VW has to pay, an allegation VW denies. David Derkach, 18, a college student from near Seattle, says waiting for a check forced him to take fewer classes this semester due to lack of money. Like Larson, he filled out paperwork in October and worked out problems through November to sell back his 2010 VW Golf. Then in December VW said the registration didn’t match his driver’s license. He sent copies of both, but hasn’t received an offer. 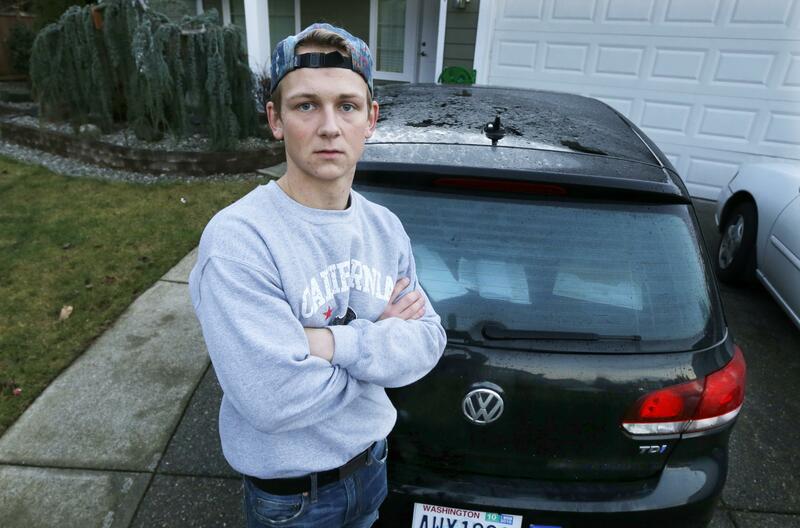 The VW website said he would get around $16,000, but without the check he had to drop one of three classes he signed up for at a local community college. “I came up short,” he says. Derkach understands VW is dealing with big numbers, but feels he’s getting the runaround. Robert Giuffra, the VW lawyer, told the judge that this likely is the largest and most complex consumer buyback program in U.S. and maybe world history. A court-appointed claims supervisor reported that VW didn’t have enough staff or computer resources in place to handle the volume of claims. But Cabraser said in an interview that VW is getting faster each day at processing claims and had finished 83,000 buybacks as of Wednesday, paying out around $1.5 billion. The schedule, she says, was more of a guideline than a requirement. Delays actually cost VW money because they extend the amount of time it has to pay workers hired to handle claims, she says. VW says it hired 1,300 extra people. Anyone who runs into problems and has a claim number can contact Cabraser’s office at info@vwclasscounsel.com or (800) 948-2181. In all, VW will spend around $15 billion to settle U.S. consumer and government lawsuits. It also agreed to pay $4.3 billion to settle a corporate criminal case. Owners unhappy with the settlement could opt out and sue on their own. Judge Breyer said during last week’s hearing that he expects the situation will get better. “There is no such thing as a perfect solution to an imperfect problem or a problem that’s very difficult,” he said. Published: Jan. 26, 2017, 11:45 a.m. Updated: Jan. 26, 2017, 10:44 p.m.